Suppose you fell into a hole. It was hole that you thought you could jump across, but sadly, you jumped as high as you could’ve—and failed. Or suppose you stole from a judge. You knew it was wrong, but didn’t care—and, because of your stealing, you now belong on death row. Both of these things are your fault. It was your fault for not thinking through jumping over a hole in the ground—and it was your fault for stealing when you knew full well what the consequences were. You ultimately can blame no one else for where you are, right now. But then, He arrives on the scene. As you scream for help at the bottom of the hole, He peeks His head in, and finds you in dire need. Similarly, for all intensive purposes, pretend the judge that you stole from was able to be the judge in your hearing. This guy, this stranger—He has a lot to do, and is very busy. But He makes the time to help you out of this pit you fell into. The judge who you stole from calls you “guilty” but does much more than that. He gets down from his seat, and says that instead, He will be prosecuted for your crime. He is guilty, while you go scot-free. It’s true, these analogies are incomplete. But many would say that this kind of behavior is amazing. Reckless, even. Yet, this is the Love, Grace, and Goodness we have been offered by God, through Christ Jesus alone. As I was writing my “Gratitude for Freedom” post, one thought came into my mind: I do not regularly view the sacrifice Jesus made for me as the incredibly precious thing that it is. A lot of the time, I either refuse Jesus’ Grace and Mercy out of pride or shame (weirdly enough), or I take it in, and abuse it. It is sadly very easy to swing from either legalism or abusing the grace Jesus has given us. The only way to not swing to these two unhealthy extremes? To continually view the crucifixion of Jesus Christ, and His Work on the Cross, as precious. To remember what He has done for us in its full array. To stop looking at ourselves and the world, but rather, fixing our eyes and hearts upon Jesus: what He has done, what He is doing today, and what He will eventually do, at the end of this world as we know it. When we remember that our spiritual life and freedom are not at all free– but rather, that they cost the God of the Universe everything– it will cause us to respond not in pride or fear, but pure Love for our Savior and what He has done for us. Our God is One that delights in His children delighting in Him. I pray that we would be able to enjoy our relationships with Jesus, continually drawing closer to Him, and relying on Him alone. May we remember and keep His work done on the cross for us at the forefront of our minds—because it is His Work done for us, and not our own work done, that matters at the end. Learn more about Jesus, His Work done on the cross, and why it all matters, here. The Chibok girls and Leah Sharibu. May they come home soon; you can find their names and pictures, here. As I read my Bible this new, January morning, I came across a passage that speaks of much suffering: Matthew 26, the days (and nights) leading up to Jesus’ crucifixion. I read of how Jesus’ death was foretold by Himself, and it dawned on me: Jesus lived life knowing He was going to suffer greatly, and die. Now, I understand: No one wants to read a post about Christ’s death and suffering on New Years Day, a day chalk full of new life, new beginnings, and new hope. Yet, it is Jesus who said, “I tell you the truth, unless a kernel of wheat is planted in the soil and dies, it remains alone. But its death will produce many new kernels–a plentiful harvest of new lives” (John 12:24, NLT). It is in Christ’s death, and resurrection, that we as humankind can have any sort of Hope for a truly new life, at all. At the same time, as people are celebrating the New Year, they are also plagued with the realities of living another day on planet Earth: Boko Haram has ravaged tens of thousands of people’s lives, including the parents of the 113 captive remaining Chibok schoolgirls. A news report from last night even read that 5,247 Muslims have been killed by Boko Haram in the past four years, alone (source). It’s with these things in mind, that I wanted to share what Christ had me read, today. In Matthew 26, the passage begins immediately with Jesus foretelling his death, and then with the High Priests plotting “to arrest Jesus in a sly way” and kill Him (Matthew 26:1-4, NIV). Afraid of the people, these Pharisees planned to kill Jesus after the Feast, so the people would not start a riot (Matthew 26:5). It boggles my mind to know that Jesus knew the thoughts and intents of the High Priests, completely. Not only did Jesus know He was going to die, soon; He knew the violent, murderous thoughts of those who were going to do it. Jesus was hated, and He knew it more than anyone else on the planet. Next, a woman comes to anoint Jesus’ head with extremely expensive perfume (Matthew 26:7). Jesus knew that she did this precious thing to anoint Him for his burial, and it was something Christ honored (Matthew 26:10-13). But His disciples did not. Looking at the woman’s actions with disdain, Jesus’ disciples complained to Him: “‘Why this waste?’ they asked. ‘this perfume could have been sold at a high price and the money given to the poor’” (Matthew 26:9). John 12:1-8 records that Judas Iscariot was the one to have said this– “He did not say this because he cared about the poor but because he was a thief; as keeper of the money bag, he used to help himself to what was put into it” (John 12:6, NIV). Not only did Jesus’ disciples really take in that He was going to die soon; Judas was a completely fake friend. Those closest to Jesus did not understand much of what was going on, and in the case of Judas, one of those closest to Jesus was a traitor filled only with the love of money– a “love” that caused Judas to eventually betray Jesus over to death (Matthew 26:15). Jesus knew how it felt to be completely misunderstood, and surrounded by fake love. During the last supper, recorded in Matthew 26:17-30, Jesus had his last meal with the same friends that He had spent three years with: friends that He Loved dearly, “to the end” (John 13:1, NIV). Yet, during a time that should have been filled with warmth and comfort, Jesus said one thing that filled the entire room with tension and sadness. “I tell you the truth, one of you will betray me” (Matthew 26:21). Can’t you imagine it? An abrupt silence filling the room; the disciples looking on their Rabbi and Lord with pain, then to one another– and to themselves– with sadness and suspicion. Think of the pain you as a disciple would feel, as you suddenly see each of your friends as being able to kill the One who told you to follow Him. Their sad replies in verse 26 were apt: “Surely not I, Lord?” Judas’ reply was different. “Surely not I, Rabbi?”, refusing to call Him Lord. “What you are about to do, do quickly,” Jesus replied (John 13:27, NIV). Jesus then spent the rest of the night telling His disciples of a new covenant, that would be orchestrated by His own death. While it was a horrible, painful thing to bring up, Jesus was not afraid to do so. Jesus had much conflict in His life, and knew how it felt to have to face it head on. Then, in Matthew 26:33-35, Jesus had to look at His beloved friend, Simon Peter, and painfully tell him that through all of Simon Peter’s good intentions and loyalty, Simon Peter would end up denying his close bond with Jesus (Matthew 26:34). Yet, Jesus picked Simon Peter to follow Him, with all this in mind. More than any other human, Jesus knew how it felt to have friends that go back on their word. Jesus’ next words in Gethsemane would be striking. “My soul is overwhelmed with sorrow to the point of death. Stay here and keep watch with me.” Filled with deep, desperate pain, Jesus needed His friends to stay close to Him and pray for Him, more than ever. But they didn’t. Close to Jesus, yet fallen asleep, Jesus’ disciples left Him deeply alone, even when physically close to those who knew Him best. Jesus felt the heavy sorrow of being alone, even amidst a crowd of friends. “Going a little farther, he fell with his face to the ground and prayed, ‘My Father, if it is possible, may this cup be taken from me. Yet not as I will, but as you will‘” (Matthew 26:39, NIV). Jesus knew how it felt to grapple with the Father’s will for His Life, more than any other person on Earth. And then, with His disciples sleeping, Jesus saw His betrayer coming up to Gethsemane (Matthew 26:45-46). With a kiss from Judas, and with Peter attacking a soldier who had come to arrest Jesus (John 18:10), Jesus knew the pain and chaos of being “kissed” to His Face, but hated secretly. He knew how it felt to be surrounded by fallen, sinful mankind. He was arrested by hateful men, though He did nothing wrong (Matthew 26:51-56). He was completely deserted by His closest friends in His darkest time of need (Matthew 26:56). One of his best friends, Peter, did deny even knowing Him (Matthew 26:69-75). He was unfairly prosecuted by corrupt men in power (Matthew 26:57-67). Then He died. Not a quick death, nor a painless one. He died the most painful, yet slow death one could ever imagine, not only physically, but spiritually (1). He was slapped and punched; He was mocked as “King of the Jews,” and men so devalued Him that they gambled for His clothing (Matthew 26:67; Luke 23:37; Matthew 27:35). 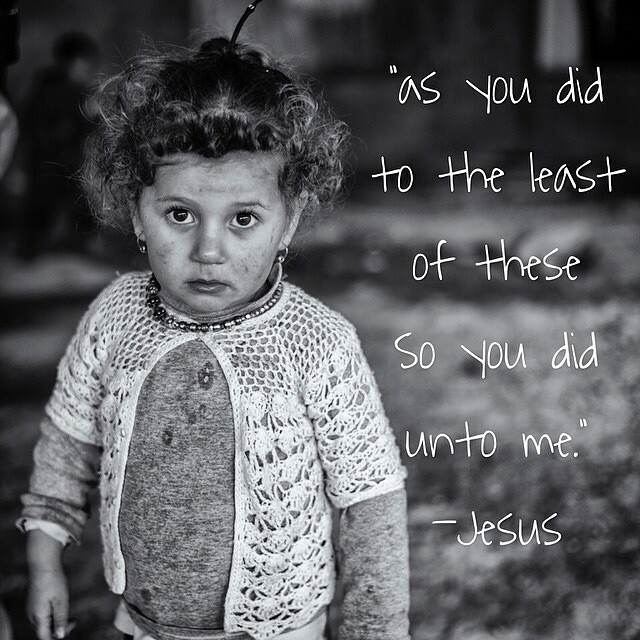 Jesus knows how it feels to be marginalized, de-humanized, abused, and humiliated. He knows how it feels to suffer: to be dehydrated, exhausted, bruised and beaten. 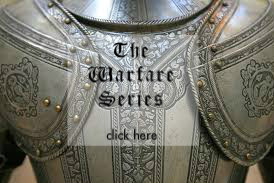 He knows how it feels to sweat drops of blood and have his flesh cut and torn to ribbons. He knows how it feels to be killed. Killed by awful, evil men, touting His murder as proof of their righteousness before God. Jesus knows how it feels to be wrongly murdered– having family and loved ones to grieve in His absence (Mark 16). Hebrews 4:15 says, “For we do not have a high priest (Jesus Christ) who is unable to empathize with our weaknesses, but we have one who has been tempted in every way, just as we are–yet he did not sin” (“Jesus Christ” in parentheses, mine). This list of Jesus’ life could go on and on. In fact, I encourage you to take some time today, and read of Jesus’ Life with this goal in mind: To focus on what He went through, and how He understands where you are in life. Whoever you are, whatever you believe, and whatever you’re going through, God not only knows from watching you go through it; He, Jesus Christ, knows because He lived it, personally. Jesus does not only know what you are going through; He, the God of All Comfort, wants to comfort, love, guide, and help you through it (Psalm 68:19). Jesus knows you. He Loves you. And, from the smallest hurt or pain to death itself, He completely understands what you are going through. He wants to help you through it. As Muslims and Christians alike are being murdered by Boko Haram, let us pray that those who are Muslim realize who Jesus truly is: That He is truly God, perfect in Holiness, and truly man, entering into their world. And that, most of all, His death and resurrection are not just proof of His deity, but proof of His Love for them. It is in His death alone that they can have new, eternal life (John 12:24). In Matthew 26, as Jesus is kissed by Judas and arrested, His disciple Simon Peter takes out a sword, and lops the ear off of one of the soldiers arresting Jesus. Instead of applauding Simon Peter for trying to protect Him, Jesus rebukes Simon Peter. The Truth is, Jesus did not have to suffer these things. At any moment, He could have stopped His suffering, forsaking God the Father’s plan for human redemption. But He didn’t. Jesus suffered, and died, willingly— that you and I might be able to know Him personally, and be saved from eternal damnation (2 Thessalonians 1), all because He Loves You. Learn more about this God, who chose to suffer and die for you and I, here. 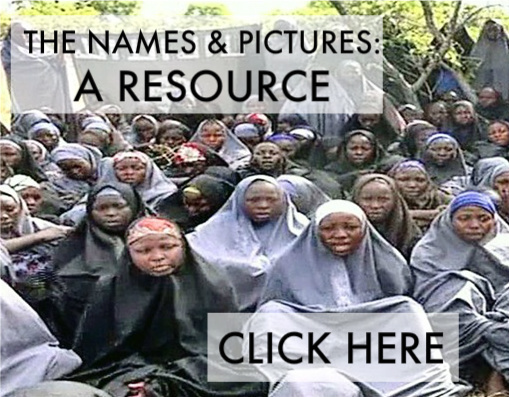 Those suffering from Boko Haram violence in Nigeria, Cameroon, Benin, and Chad. Muslims, that they would come to know Jesus Christ as their Lord and Savior, the One who understands it all.